How frustrating because it’s a fairly simple principle… ants won’t cross water because they never took swimming lessons. Gathering two moats and a new glass hummingbird feeder she had her eye on, it was time to see the moat that couldn’t be filled, it piqued my curiosity. 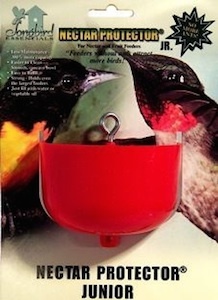 Upon seeing the cheap plastic feeder (it’s okay, we use them sometimes too) it was absolutely moat-less. “There’s no moat, that’s why the ants keep getting to it”. 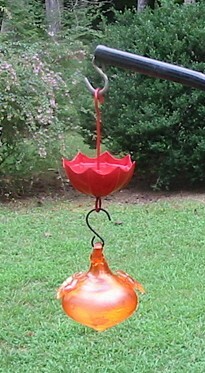 I showed her the little cup-shape moat, said to fill it with water and hang the hummingbird feeder directly below. It was like a light went off, and a clear understanding was now obvious. Why would we even mention it? Because everyone starts somewhere when feeding the birds. When you’ve been doing it for 30 years or so, much knowledge is gained as to what works and what doesn’t. The hobby’s become wildly popular in the past few years, which means there’s a lot of folks who are fairly new to backyard birding. Everyone loves hummingbirds, they’re one of summers’ highlights, but ants can ruin the experience quickly… for the tiny sprites too! It takes just one pesky ant to sour a feeder full of fresh nectar – and that’s a bummer. 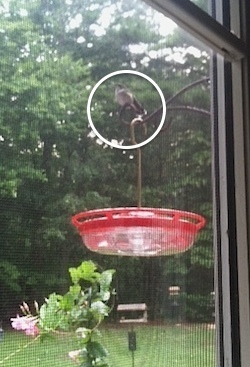 They must emit something terribly fowl to hummingbirds? Save your nectar and your money by using a moat and making your own sugar-water solution. It’s SO easy and really fast, no red dye needed. Table sugar and water at a 1:4 ratio… that’s it! No other ingredients as they’re harmful to the birds. During migration, the nectar can be a bit stronger at 1:3, the extra calories serve the birds well for their long journey ahead. 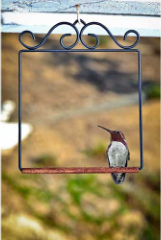 Oh yeah, and the pretty glass feeder was an instant hit with her hummingbirds, she said it took about four seconds before they discovered it and started feeding! 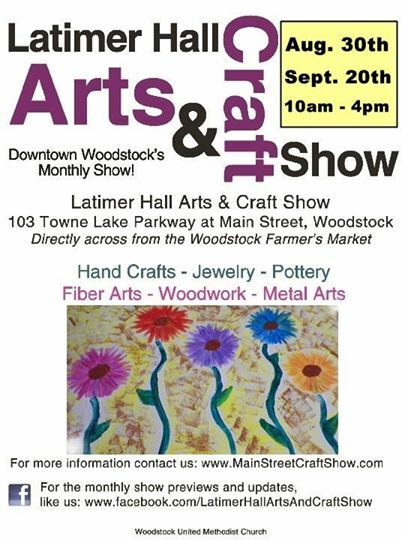 The night before… We’ll be laboring this Labor Day Weekend at the Latimer Hall Ats & Crafts show! If you’re local around the Atlanta area, or anywhere near Woodstock… come on up and cruise the show, the farmer’s market is right across the street! Best to head out early as the start time’s changed from 10:00 AM to 8:30 AM due to possible scattered showers during late afternoon. 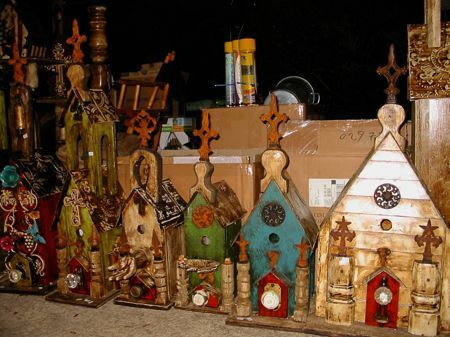 Jewelery, pottery and other crafts await, and this year we’re on board with a myriad of wares, including some handcrafted birdhouse kits made right here in Athens, GA.
We’re hopeful the weather holds out because it sure is a lot of labor getting ready for one of these things! Either way, we’d like to wish everyone a happy and safe Labor Day Weekend! Some Bat Sh*t Crazy Karma! 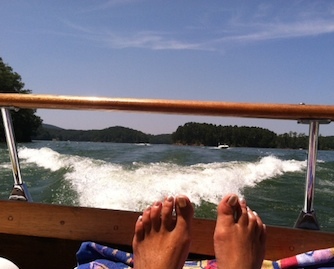 A few weeks ago on a much welcomed boating excursion, we anchored in a lovely cove for the evening. As dusk approached, the sunset and simple stillness were truly amazing. That is, until the bats came out… then it was funny! Dive-bombing only my friend’s husband, “they’re harmless” and “it’s nothing” was the advice offered in between belly laughs. The incident started around 3:00 A.M. and ended roughly two hours later. Awakened by a “thump”, some fluttering and odd noises, I remembered the bathroom window (facing a wooded yard) was left slightly cracked sans the screen. One inch, it wasn’t wider than one inch – but enough for the little guy to get through. If you can roll your tongue with no vocals… that was pretty much it, like a low, soft motor. Jolted from a sound sleep “what, where?” The cats were absolutely beside themselves, all I had to do was look in the direction of their interest. Then I spotted him, frantically flying from room to room, downstairs, upstairs, back and forth! The only audible was flapping wings and occasional fowl language when he flew directly overhead. The wingspan was big, how did he get through that window, and why? This ain’t no bat house! What could have possessed the flying mammal to enter? A predator? Are bats territorial? Do owls eat them? They’re the only other nocturnal predator in the area, hey, I’m the birdhouse chick, not the bat lady! It was evident the little guy was growing tired of all the commotion as well, he began perching/hanging from the ceiling in the bedroom. Of course this had to be in the vaulted part where nothing I had could reach him! With my nerves starting to finally settle, and realizing that pulling the sheets over my head wouldn’t solve anything, the plan was devised. The bathroom-open the window all the way and get him back into the room from whence he came. Shut the door and he’ll figure it out with sounds of the great outdoors. Twice the opportunity presented itself and twice I failed, not fast enough for him. With stronger resolve, the third time was a charm. Done! His movement was still detected a few minutes later and then silence – he made it out alive… or at least I had hoped. Waiting until daylight I opened the door slowly to be sure, no signs. Checking all possible nooks and crannies where he could’ve possibly dropped dead, I was convinced he escaped… it was awesome except for the next task at hand. Bat guano detail… omg! It’s an innate habit of all living beings, a universal law of nature… poop when nervous. Droppings were found in every room of the house – but hey, at least it’s not liquid like bird poop, right? 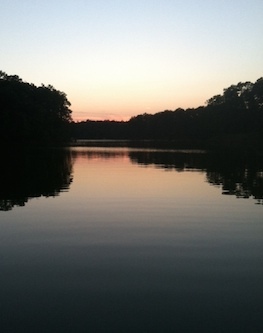 So there it is, because I laughed at my friend while being dive-bombed by bats on the lake, karma came back tenfold. Literally Bat Sh*t crazy, ay? 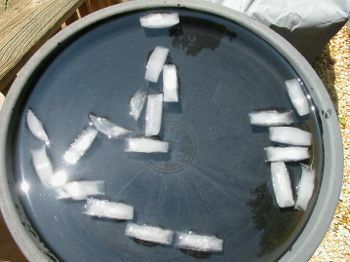 Heated Bird Baths in Summer? So when it’s 90 degrees, how useful is that heated bath? Certainly unplugged and cord tucked for the season, it will still see daily activity and may even be life savers for some birds during severe drought. Regardless of seasons, water is a critical life source for all beings. Whether you’re thinking of purchasing your first birdbath, or adding an extra one to your habitat, heated bird baths are a wise choice for year-round use. Because another severe winter looms on the horizon, resident birds will benefit as will your whole bird-watching experience! And on those dog days of summer? Ice cubes offer a refreshing spot, or even accessories like solar fountains will create a most welcoming haven for feathered friends! They’re the last ones of the season to nest and raise their young, they’re also the only ones who molt twice per year. It really puts goldfinches in a class of their own. It’s the busy season for them, feeding the tiny black seed almost exclusively to babies. During the year, spells of non-activity may be common around nyjer feeders… but not now! If you offer nyjer or thistle seed year-round, chances are great these birds will stick around. 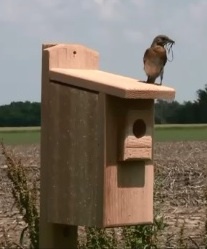 They won’t nest in a birdhouse, but prefer mature trees and shrubs for building their digs. Considered resident birds, in winter you’ll see dull brown-olive plumage, but their sweet song will still grace the garden on the dreariest days. A fresh water source will further entice these friendly fliers. A fickle seed nyjer can be, it must be fresh for the birds to partake. Should the seed sit in your feeder too long, it may become moldy or rancid and they won’t touch it. One of the benefits of this long tube feeder is the ability to fill it from both ends. By alternating top and bottom refills, there’s no way for older seed to accumulate at the bottom like most feeders. 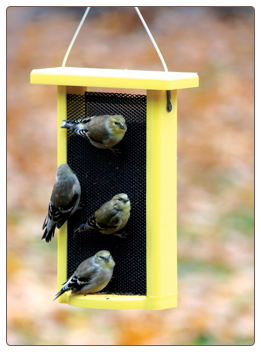 Another popular style is mesh or screen, offering an all-over feeding space as opposed to individual perches. In recycled plastic, some are durable enough to last a lifetime. And the last benefit of thistle? It won’t germinate! 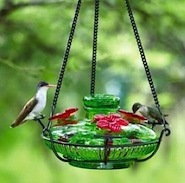 You’ll never see a nasty weed below these feeders. So fill it up, keep seed fresh, offer a bathing spot and American goldfinches are bound to claim your garden as home sweet home! 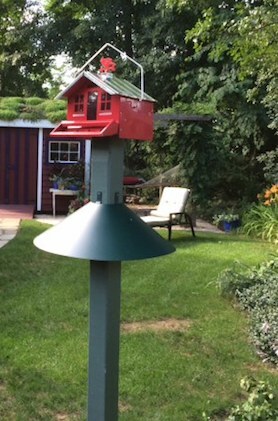 Use a Squirrel Baffle to Protect that Nest! 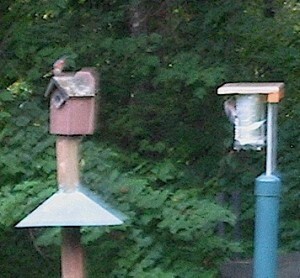 Squirrels can be such a major nuisance around bird feeders, hence the baffle was invented. Aptly named to foil their shenanigans, lots of options are readily available to accommodate wood posts, garden poles, and hanging feeders too. Even fancy shepherd’s hooks have been taken into consideration, with a squirrel baffle that splits or opens to install – then locks back together. With generally cooler temperatures in most parts of the country this summer, the busy nesting season has seen many birds on their second and third broods. 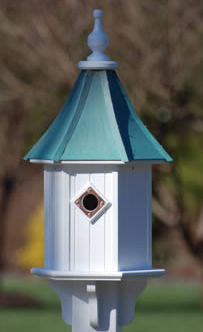 Some use birdhouses (bluebirds, wrens, chickadees) and some don’t (cardinals, goldfinches, hummingbirds) preferring to nest in mature trees and shrubs. 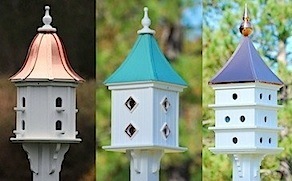 Sadly, birdhouses get their share of thieves, from squirrels and raccoons, to snakes, cats and larger bully birds. Eggs and babies may be killed by territorial birds or eaten and just disappear all together. 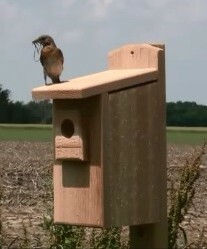 One wouldn’t think it’s common practice to use a raccoon or squirrel baffle on a birdhouse… but until you’ve lost a nest of babies to one of these predators, it makes perfect sense! The image at left is a bit fuzzy, but it illustrates the use of two different kinds of baffles protecting these houses. The one on the right is even home-made, using PVC pipe and an end cap from the home improvement store. 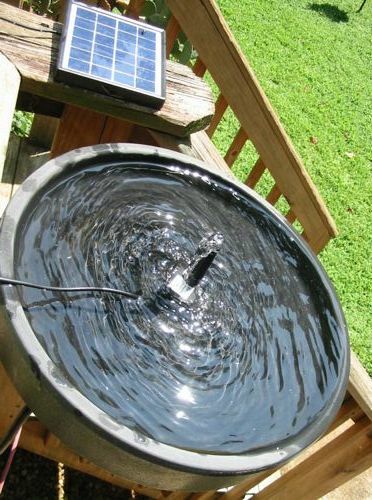 It should really be at least 5 inches in diameter (this was our first try) and it works on the “rocking principle”. A simple search for stovepipe baffle will show you how to make an expensive and effective design for posts or poles to thwart both raccoons and squirrels. Grow strong and thrive little bluebirds!